The village sign can be found along side the road passing through the village on a small green. 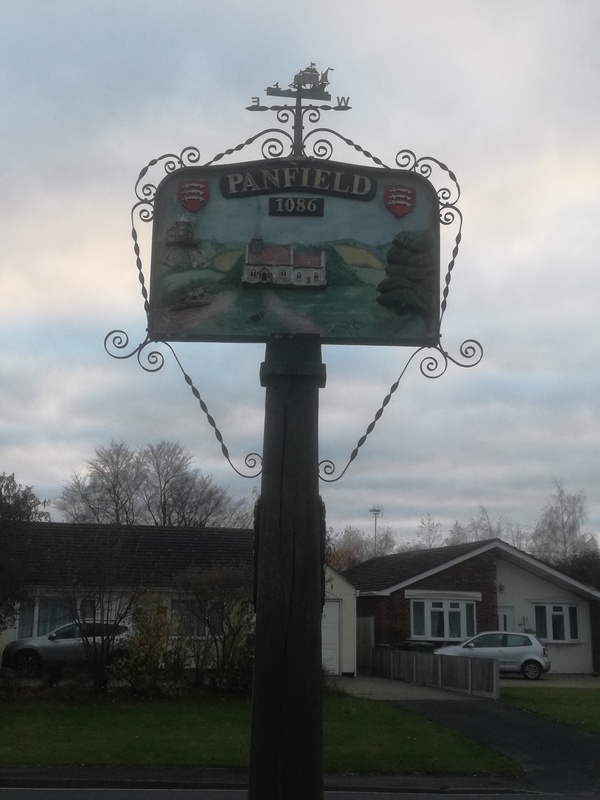 Panfield is a pleasant village just North of Braintree and was also known as Pantfield as it lies on the western side of the vale of the river Pant. The heart of this little settlement 'open country on the banks of the pant' as the Saxons described it, was and still is its parish Church which stands a little to the east of the later development of the village. The hide can be found with a little calculation.